In Cornwall, England, during the first half of the 19th century, a young Irish woman, Mary (Maureen O’Hara, The Black Swan), slowly realizes that her aunt’s husband (Leslie Banks, The Man Who Knew Too Much) is behind a series of mysterious shipwrecks. Mary requests the help of the local squire, Humphrey Pengallan (Charles Laughton, Hobson’s Choice), unaware that the urbane and well-respected Pengallan is involved in her uncle’s criminal activities. Jamaica Inn is considered lesser Hitchcock. The film’s biggest critic was Hitchcock himself. He didn’t enjoy making the film, and didn’t think the movie was entirely successful. Audiences, however, disagreed with the filmmaker — Jamaica Inn was one of Hitchcock’s biggest moneymakers. Jamaica Inn is an adaptation of Daphne du Maurier’s well-regarded 1936 novel of the same name. Hitchcock had already signed the contract that brought him to Hollywood and was already packing when he realized that he had enough time to make another film before leaving for America. A script was quickly prepared — by Sidney Gilliat, Joan Harrison, J. B. Priestley and Hitchcock’s wife, Alma Reville — and Hitchcock agreed to make the film only to regret his decision years later. Hitchcock’s main source of irritation was star Charles Laughton. The actor also served as co-producer through his company Mayflower (German producer Erich Pommer was co-owner). Hitchcock found himself in the precarious situation of having his leading actor outrank him. According to Patrick McGilligan’s Alfred Hitchcock: A Life in Darkness and Light, Laughton changed his character from a clergyman to a foppish squire (an idea first proposed by producer Pommer). The actor also enlarged his role. Although Hitchcock was friends with Laughton, all these changes irritated the master of suspense. Never mind, Laughton manages to deliver a delightfully eccentric performance. He is mannered, shamelessly hammy, but I thought it worked within the context of the movie — it’s one of Hitchcock’s most interesting villains. The colorful cast includes Robert Newton (Oliver Twist), Mervyn Johns (Dead of Night) and Emlyn Williams (Another Man’s Poison). 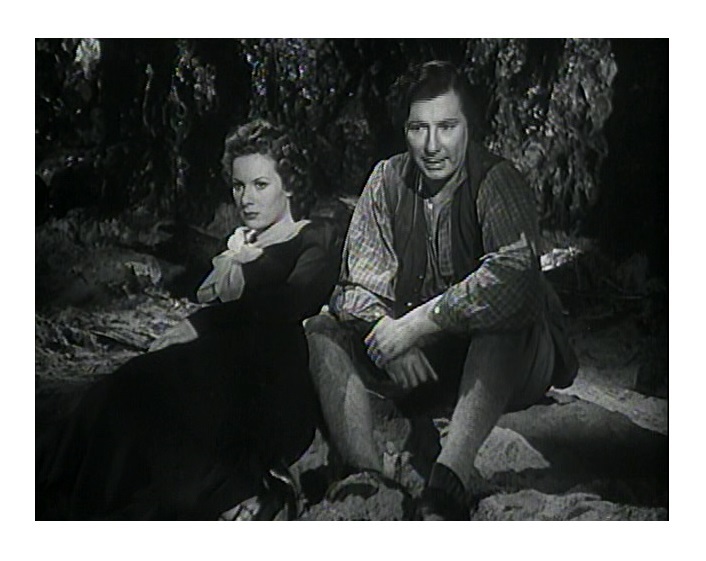 Maureen O’Hara is excellent as Mary. O’Hara is only a teenager, but she holds her own against Laughton, Newton, and the rest of the cast. Aside from the excellent performances, Jamaica Inn offers many scintillating trinkets. 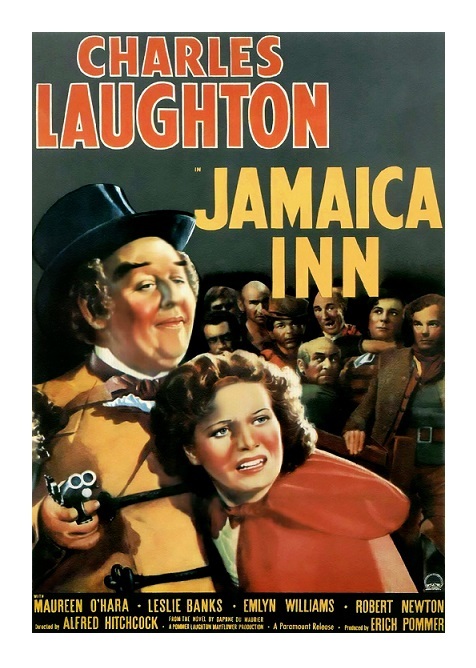 Although Hitchcock dismissed the film as “an absurd thing to undertake,” I found Jamaica Inn fascinatingly Hitchcockian. As expected, the director enhances the narrative by placing contrasting ideas next to each other. Jamaica Inn is a great example of Hitch’s belief that opposing things create interesting sparks. Most of the film takes place in two locations: the squire’s opulent mansion and the rundown tavern. It’s implied that both places are two sides of the same coin. Jamaica Inn also deals with more than a few Hitchcock phobias. The distrust of government officials, the idea that things aren’t always what they seem, people pretending to be what they are not, different types of unhealthy obsessions, etc., all recurring motifs and symbols that pop up in Hitchcock’s films. Jamaica Inn is extremely well-done, entertaining, even interesting. The film has this ebullient pace that makes time fly by. Jamaica Inn moves swiftly from scene to scene — the action never stops. Hitchcock always said that he never quite understood period pieces, but this film is evidence that he did know a thing or two about how to generate excitement in a costume movie. 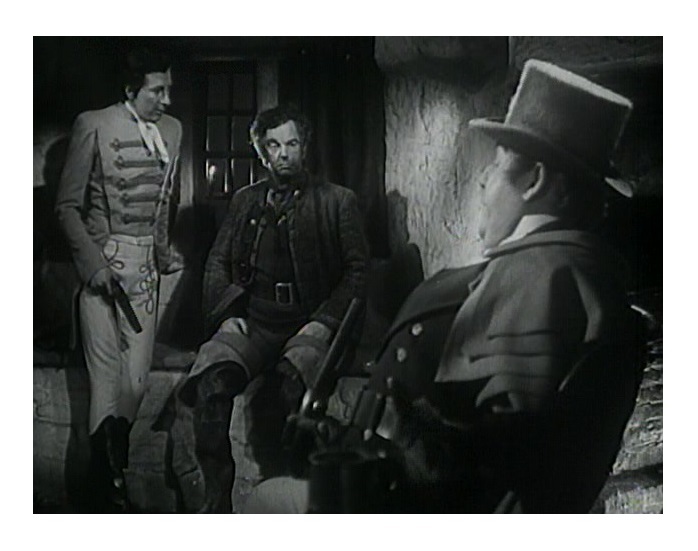 I think Jamaica Inn is one of the master’s most underrated movies. B&W, 108 minutes, Not Rated. Oops, it looks like you liked this one more than I did. I’ve only seen it once, though, so maybe it needs a second chance. It just didn’t seem very Hitchcock-like to me (and I know, you feel just the opposite). And I agree with Erica: that Hitchcock book you mentioned is a good one! “It just didn’t seem very Hitchcock-like to me” Well, Hitch didn’t like it either, so you are in good company! 🙂 Maybe because I had low expectations, I ended up liking it. As a huge fan of the novel, I’m afraid that I am not a fan of this film. No screen adaptation of this has managed to capture the mood, the characters etc as they are on the page in my view. I think if I hadn’t read the book before seeing this one, then I might have enjoyed this film a bit more though. Fair enough. I haven’t read the book, but I understand your reaction. Have you seen the 2014 Mini-Series? Did you like it? I’ve read that it stays close to the book. I watched it on Netflix. I have seen that and felt the same way, although it comes closer to the book than anything else. I guess that is the problem with loving a book so much, you have your own views on what characters,scenes etc should be like. I sympathize. The Island of Doctor Moreau is one of my favorite books, and I feel no adaptation has done justice to the book. The 1933 version, Island of Lost Souls, is very good, but still falls short of its potential. I was glad to read your review, because I chose this film for an upcoming blogathon. I haven’t seen it before, but I’m really looking forward to it – especially now that I’ve read your review. It’s one of Hitchcock most divisive movies. I’m really curious to know what you think. I look forward to reading your review.